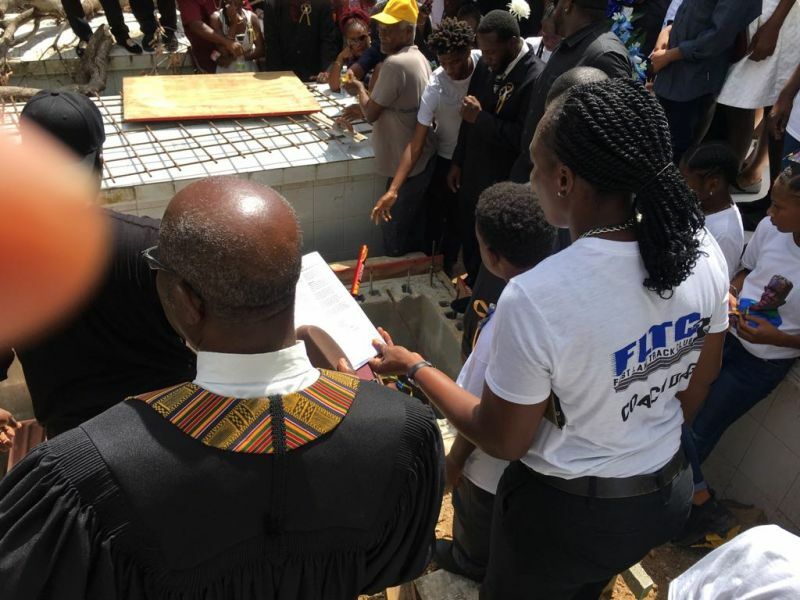 ROAD TOWN, Tortola, VI – Laid to rest on Saturday October 21, 2017 at the Methodist Church in Sea Cows Bay, the commemoration of the life of Coach Xavier “Dag” Samuels had begun the previous night on the A.O. Shirley Ground in Road Town, Tortola with a Candlelight Vigil. 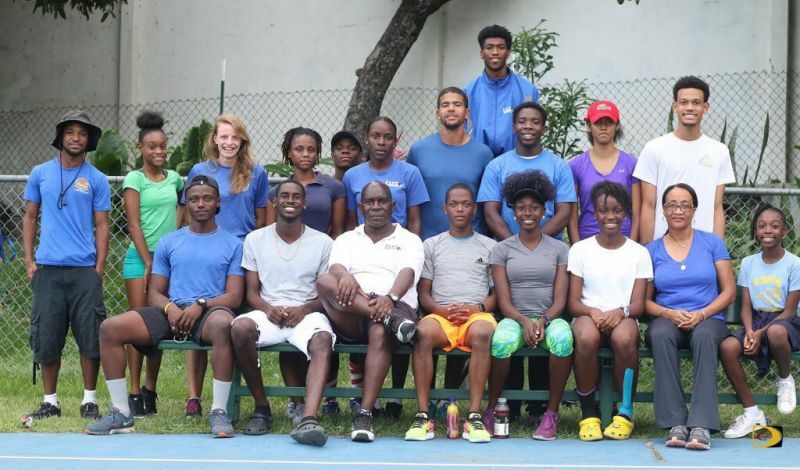 Affectionally known as “Coach” or Dag, Samuels was instrumental in the formation of Fast Lane Track Club as well as spotting new talent across the Territory and motivating many to take to the track for fitness and health. He lost his life due to injuries suffered as a result of Hurricane Irma on September 6, 2017. As proved by the hundreds who turned up for the Vigil and Funeral, he is a man who will be sorely missed, not only across the Sports World but across all walks of life. 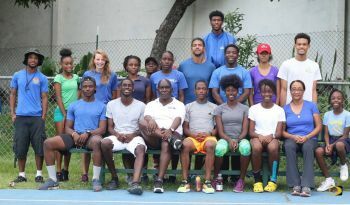 “This is a tough one for the athletics family,” commented BVI Athletics Association (BVIAA) President, Mr Steve Augustine. 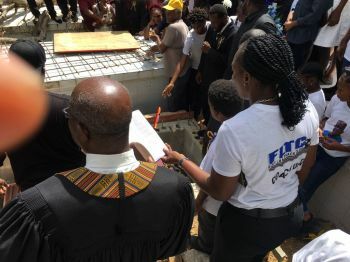 Fittingly, the coffin bearing the body of Mr Samuels was given a lap of honour around the Mondo Track at his second home, not only followed by the raised Candles of well wishers, but also accompanied to the poignant sounds of the theme tune of Chariots of Fire, a movie about overcoming all odds to compete at the Olympic Games. Something Coach Samuels would have been proud to see in his Athlete Family, but has now been denied. 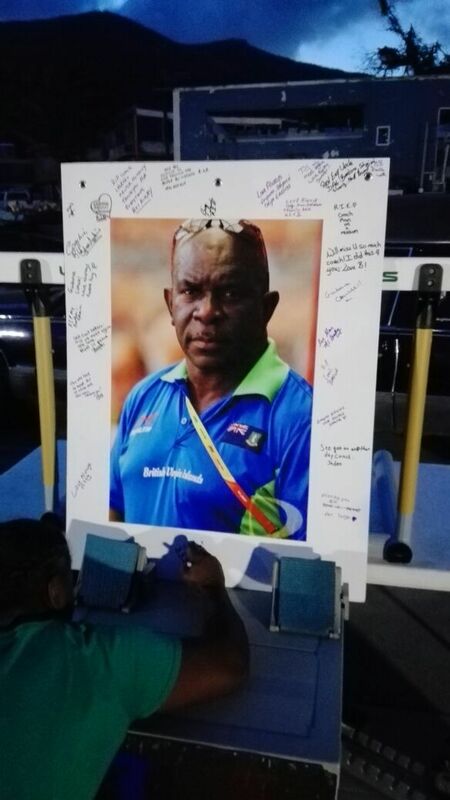 RIP U WERE INDEED A GOOD COACH TO MY SON HE WILL MIS U. THANK U .
Nuff respect and Guidance for ever brethren. C78. His toiling – coaching – Be the Best you Can! Hurricanes-a-Comin’- Da Warning is Da-G’s- not a mime! Better to Be Early than Late: “There’s never any love in hate! witnessed more races than he could run; and never stopped. Rest In Peace. Well done my friend. Well Done! Condolences to Family. I have known Dag from a little girl living in lower estate. Dag was a very respectful,friendly person and lived helping people. Dag stopped every day to speak to us all of the young children and adults every day when he walked through lower estate and if he saw you anywhere. Dag used to run all over the island and stayed in great shape. We have lost a great man. It will not be the same without Dag. His death saddens me I can't believe he's gone. God have a strong loving caring man. My heart wealth and condolences goes out to his entire family. God needed and angel and he called Dag home. Dag will not be forgotten he lives in many of us on Tortola.